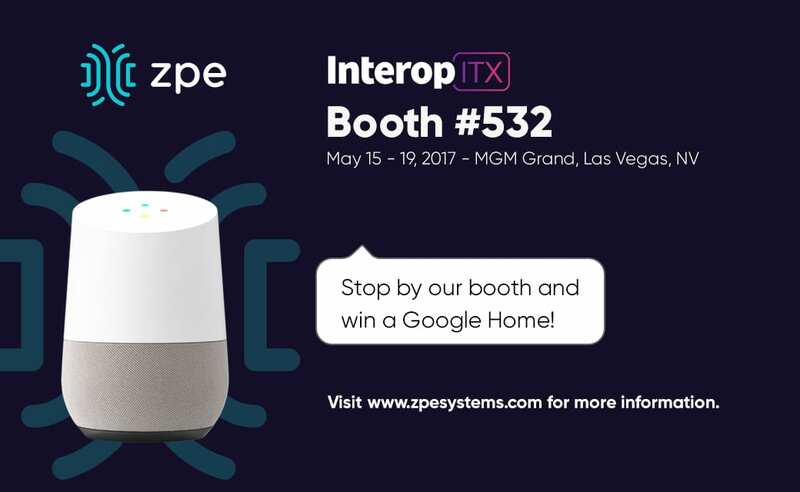 Team ZPE will be at Interop ITX on May 15-19, 2017 – Hosted at the MGM Grand in Las Vegas, Nevada. Stop by and meet the team, grab a prize or two, and get acquainted with our NodeGrid Open Infrastructure Management family of products. Save 15% off Attendance with Coupon Code: “ZPE” – Register Now! Can’t make it to Interop but want to talk Open Infrastructure Management? Schedule a meeting with us, we’d love to hear from you. Share the post "Interop ITX"